Fortane™ launches an economical urethane adhesive for wood flooring installations specifically formulated to better hold ridges and not separate planks during installation. Adhesive ridges that go flat and adhesive plank separation memory are two of the major causes of hollow spots and installation delays. Fortane™ has launched Fortane LD™, an economical wood flooring urethane adhesive, that aims to help installers deliver a faster installation with no hollow spots. The manufacturer focused on the needs that a number of installers, interviewed during the development phase, said they had. They were looking for a strong, less expensive urethane bond that could better hold ridges and had no plank separation memory. “During the development phase of Fortane LD™ we have learned a great deal about what can make the lives of installers easier,” says Dr. Daniel Foucher, Technical Manager with Fortane™. “Our R&D team tested a variety of different formulations until we got the ridges so well held, they would never go flat before the flooring is laid down,” says Dr. Foucher. The manufacturer’s R&D team then focused on the adhesive memory issue. “A number of installers told us about the delays caused during their installations due to the plank separation memory problems that traditional urethane adhesives have. The proprietary formulation we came up with for Fortane LD™ has no plank separation memory at all,” adds Dr. Foucher. Fortane™ also wanted to offer a more affordable product to those installers who still think urethane adhesives are too expensive. “We just made it clear from the beginning what our target price was, so more installers could enjoy the benefits of a urethane bond, and our development team worked around that target,” says Dr. Foucher. Fortane LD™ has been already tested by a number of installers all over North America. 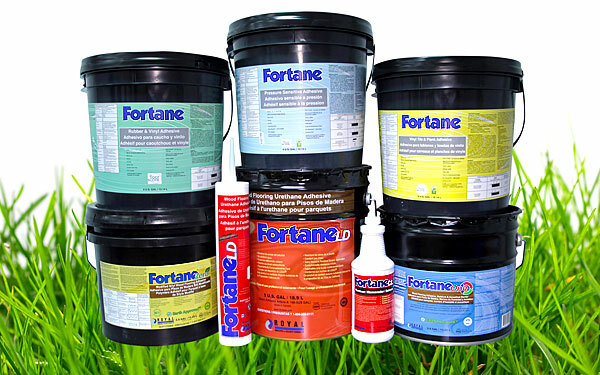 The positive feedback and inquiries from installers have encouraged several distributors to order from Fortane™for the first time. “We are very happy with the overall reception Fortane LD™ is getting in the market. There is still much work to do to bring the good news to more installers, but we are all very excited about the years ahead for this new technology,” completes Dr. Foucher.